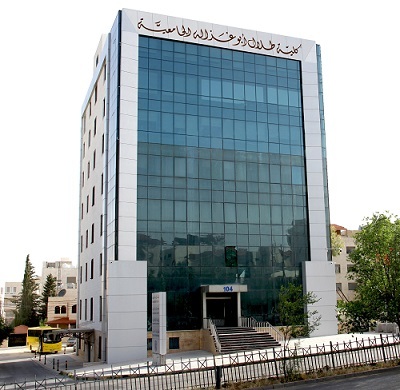 AMMAN – The Admission and Registration Department at Talal Abu-Ghazaleh University College for Innovation (TAGUCI) announced that it has already started receiving applications from students wishing to register in master’s programs in Innovative Leadership and Entrepreneurship, Human Resources, Digital Marketing and Data Analytics specialties. TAGUCI is the first of its kind university college in the world that focuses on the development of innovation and creativity and aims to graduate inventors who will contribute to knowledge innovation. HE Dr. Talal Abu-Ghazaleh affirmed that economic power now relies on innovation and creativity which was the reason for the establishment of TAGUCI. Dr. Abu-Ghazaleh’s unchanging vision and his belief in youth capacities and abilities in supporting the local and global economy was the main objective for founding TAGUCI. It’s noteworthy to mention that the MBA program offered by TAGUCI received accreditation from the Accreditation Council of the Ministry of Higher Education in Jordan.